As those of you who regularly hit F5 a lot have noticed, the Jabberzac web site at has been drastically simplified. 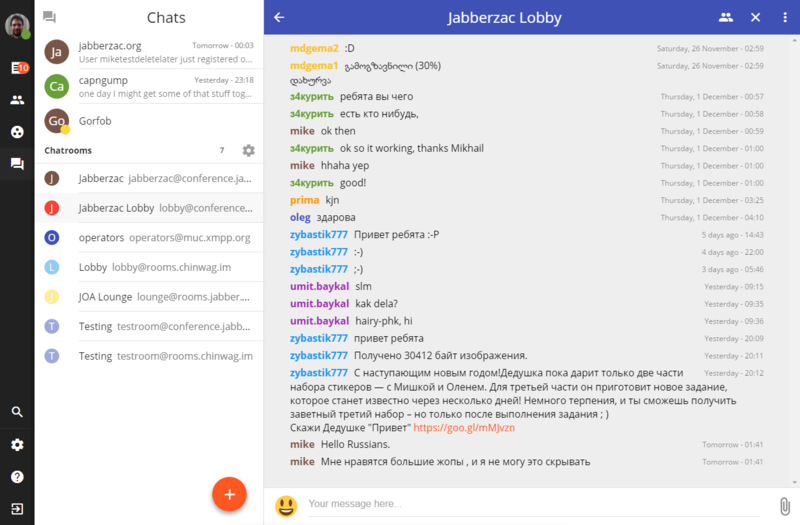 There is now only one registration option and only one web-based chat client (Movim). If you were super hooked on the buggy Kaiwa instance or were the one person who used Candy then I’m sorry. The blogging functions of Movim are not supported really just now, if you type a long post don’t be surprised if it vanishes forever. You can video call each other now though. You’re welcome. Expect polish and some documentation over the next few days.